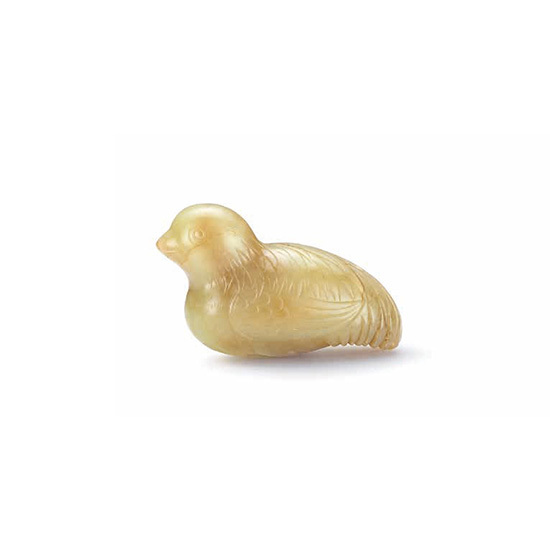 The yellow jade is naturalistically carved in the form of a recumbent quail, its legs tucked under its body. The jade is pale yellow in colour with light orange patches and white inclusions to one side. The piece is polished to a matte finish.